African soul sensation Waje hits the airwaves today with two singles off her upcoming album, the self titled WAJE [Words Aren’t Just Enough]. The released songs are the brand new single ‘Oko Mi’ and the previously leaked heartbreaker ‘I wish’. in love with,” Waje explains. inside,” the song hits all the sad notes! “For every heart that has been broken, ‘I wish’ is a song that says I’ve been there, I will survive, “Waje explains simply. It has been a busy month for the multi-talented singer, she co-hosted The Future Awards on August 26. Now, this weekend, Waje is set to rock New York in her trademark show stopping style as she performs at the Nigeria Entertainment Awards. Recently, she was nominated as ‘best female vocal performer’ for the Headies. 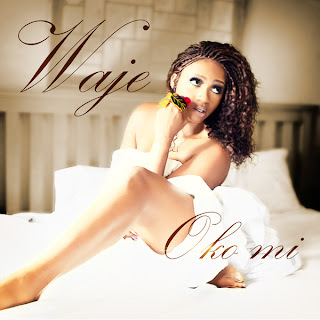 Waje also celebrates her birthday today in The Big Apple.